Taking part of legal Nebraska sports betting is possible if you are aware of the current climate regarding legal sports betting. As a large number of states are moving forward with legalizing sports betting, it could very well happen in Nebraska. But that is something that needs to be brought up with the state legislature and then made into law. Although the state’s lawmakers have not created any bills to make this happen just yet, the state has plenty of reason to do so and is in a strong position to make such changes happen in the Cornhusker State. Locals from Nebraska are huge fans of sports, with a mix of collegiate teams and professional teams in surrounding states. Because residents are so into sports, sports betting in Nebraska is already taking place. By using reliable online sportsbooks, bettors from Nebraska can make bets on their favorite teams without worrying about breaking local laws. Even after Nebraska fully legalizes land-based sports betting, going to one of these online offshore websites will still be the best way to take part in legal Nebraska sports betting. 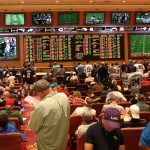 Is Land Based Sports Betting Legal In Nebraska? Right now there are no regulated land-based sports betting allowed in Nebraska. What’s more, there are currently no bills being considered by the state’s legislature to change that. Unfortunately, this means that there are no land-based sportsbooks available in Nebraska. But there is hope that this could change. 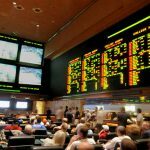 Land-based sports betting is spreading across the United States and that may motivate state legislators to move forward in creating a bill. Until then, you can enjoy sports betting by going to an offshore site. Is It Illegal To Bet On Sports Online In Nebraska? As it stands, there are no laws or regulations preventing bettors from Nebraska to go online and bet on sports. Or rather, the current laws simply do not specify that online gambling is not allowed. Because there are no laws against it, this means it’s not against the law to go online and bet on sports online in Nebraska. In regards to online gambling, states usually would go after bookkeepers rather than actual bettors. If bettors are still concerned about the legality of online betting, they could potentially use bitcoin on these offshore sites to eliminate any paper trail they may leave. Is There Anywhere In Nebraska That I Can I Bet On Sports? So far, there is nowhere in Nebraska that has land-based sportsbooks that will allow you to bet on sports. However, there is a way for you to enjoy sports betting wherever you please. If you go online and go to Bovada, SportsBetting, BetOnline or 5Dimes, you can get into legal Nebraska sports gambling wherever you go. 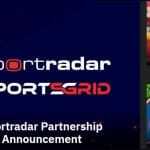 These leaders of online sports betting have mobile versions of their sites that and have the same functionality as the desktop version. So whether you are at home or in a park in Nebraska, you can bet on sports. In regards to gambling, Nebraska is not too liberal and not too conservative about it. Nebraska has live horse races, tribal casinos, and a lottery available. But the tribal casinos only have class II games (games that work like bingo). So there are notable games available and more importantly, no sports betting available in Nebraska. What’s more, there are no bill proposals being considered by Nebraska’s state legislature to make legal Nebraska sports wagering happen. 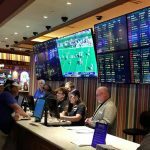 For sportsbooks to be open in Nebraska, the state must draft up and pass a bill so there can be a law that allows for sportsbooks to become available. States around Nebraska – like Kansas and Iowa – have introduced bills that would legalize sports betting in their states. If they do pass those bills, Nebraska can potentially lose revenue if bettors from Nebraska decide to travel to do sports betting. Maybe that will motivate Nebraska’s Congress to create a bill to legalize sports betting. Although Nebraska does not have any professional teams from its state, Nebraska is still a state that enjoys sports and sports betting. They have a few Division I teams that they can bet on. But if bettors from Nebraska aren’t feeling their home teams, they don’t have to worry. Going to an offshore website like BetDSI allows for bettors to bet on any team and any game they want. One of the ways locals from Nebraska to make bets is to go to a horse race track and get into the racing action. There, locals can enjoy live races and make straight or exotic bets. However, we suggest that you can go to an offshore site like 5Dimes or SportsBetting when you want to bet the ponies. Horse bettors receive daily rebates whether wagers win or lose. With free promotions around the year and being able to bet on the races at home, online racebooks are the way to go. Daily fantasy sports (DFS) is in an interesting position in Nebraska. DFS sites like DraftKings and FanDuel are available and legal for Nebraska residents to use. Locals from Nebraska can enjoy DFS by going to DraftKings and FanDuel and take part in the public contests that they have going on. 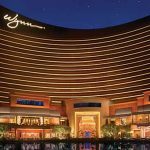 With over $10 million in payouts between both sites, DFS players are likely to win some cash by using these two reputable sites. Can I Bet Real Money On Sports In Nebraska? Using real money is the best way to take part in legal Nebraska sports betting. Although there are no sportsbooks open in the state, going online to one of the offshore sites that we suggest allows you to bet and potentially win real money. If you do end up winning, you can take your winnings via a wire transfer or in the mail. Is Online Sports Betting Safe In Nebraska? Online sports betting is 100 percent safe in Nebraska. The offshore sites are industry leaders in making sure that your data is safe at all times. They have never had a data breach, so bettors can rest assured that their information and money is safe. Bettors can also set up a VPN or use bitcoin to further protect their information while using these sites. Will Sports Betting In Nebraska Ever Be Legal? There is a possibility that sports betting will become legal. As previously mentioned, there are states around Nebraska that are in the process of legalizing sports betting. If the state doesn’t want to lose revenue, then the best way for it to do that is to introduce a bill themselves that would legalize sports betting in Nebraska. 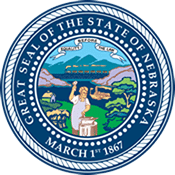 Will I Get Arrested For Sports Betting In Nebraska? It is extremely doubtful that you would be arrested for sports betting in Nebraska. One of the main things to remember about gambling laws is that they usually are there to prosecute bookkeepers and organizers, not the bettors. Another thing to remember is currently the only way for bettors in Nebraska to place a sports bet is to go online. These online websites are outside of Nebraska and US jurisdiction, nobody is going to get arrested for your sports betting. What Is the Sports Betting Age In Nebraska? The legal gambling age in Nebraska is 18 years old. For online sportsbooks, they comply with state laws and have their own age limit of 18 years old as well. Whatever you do when you access these websites, do not ever lie. If you lie about your age, you can lose any potential winnings and you can end up permanently banned from the sites. Are There Mobile Sports Betting Apps Available In Nebraska? As for now, there are no state-licensed sports betting apps available in Nebraska. But, there are good options for bettors to use. If bettors access offshore sites such as 5Dimes or Bovada on their mobile device, they can download an app from their website. The apps have all of the same features that bettors would enjoy from the desktop version of the sites. Where Is The Best Place To Bet On Sports In Nebraska? The best place to bet on sports in Nebraska is on the internet. As there are no land-based sportsbooks available in Nebraska, going to our recommended offshore sites is the best place to bet on sports. And because their websites are able to be accessed on mobile devices, you can take the sports betting action wherever you go to Nebraska. Thanks to this, you can even make your own home the best place to bet on sports. Should I Use A Local Bookie In Nebraska? Using a local bookie is the worst way you can bet on sports. Not only are you likely to not get honest odds, but it’s also illegal. If you are caught using a bookie, any winnings would go down the drain covering all your legal costs. Instead of risking everything on a bookie, going to an online sportsbook is a much safer option. Do Any Casinos In Nebraska Have Sports Betting? Unfortunately, none of the casinos in Nebraska have sports betting available. If bills are created and made into law, then we are sure Nebraska’s casinos will have sportsbooks available shortly after. Until then bettors from Nebraska can enjoy legal Nebraska sports betting by going to an online sportsbook. Can I Bet On Sports With My Friends In Nebraska? There doesn’t seem to be any laws that regulate social gaming in Nebraska. Small groups of friends can take part in legal Nebraska sports betting so long as the organizer isn’t bookkeeping or raking in profits from hosting. Friends can also go online together and enjoy sports betting by going to BookMaker.eu or any of our other suggest offshore sites. So long as no one is raking in profits, it is legal to be on sports with friends in Nebraska.